Gravity closing 10-inch wide x 6-inch high "mailbox" style chutes are secured by finger release levers that make it easily accessible to all users and inaccessible to wildlife. Built to keep contents safe and secure in all situations, the Camper is designed with lockable double lids and doors. The Campers solid construction will keep out the largest of animals, including bears, and will easily keep out the smaller animals like raccoons, skunks & squirrels. An interior hopper directs waste to the inner liner, which minimizes waste deflection. A top lid options comes stock with the Campers' 10-inch diameter chute holes that are lined up over the inner containers. This chute style not only discourages wildlife, but the chute sizes limit waste that parties can dispose. Narrow chute holes limit the size and amount of waste being disposed to deter people from brining their home trash. The Camper is available in four colours, with a textured powder coat to offer style and durability. 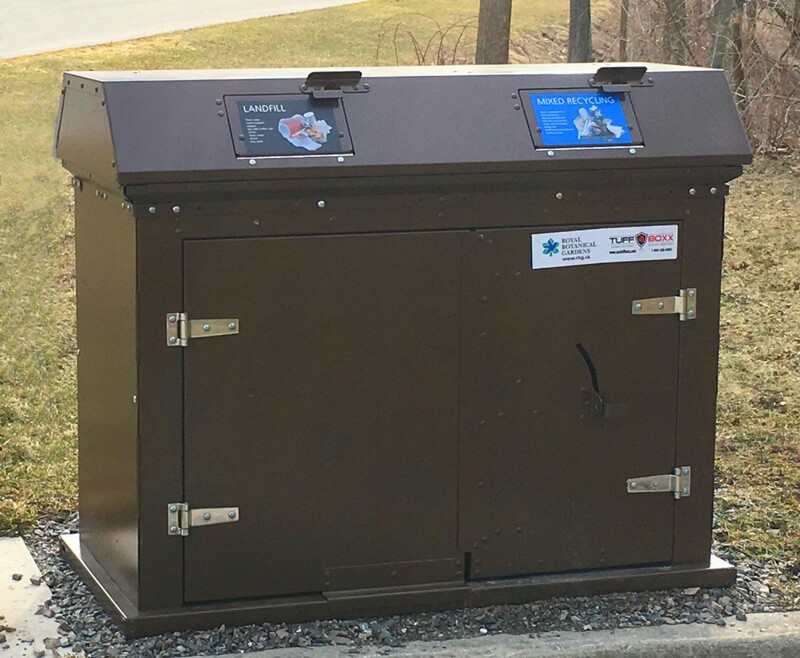 With a mounting system built into the bottom of the bin's base, the Camper can be mounted to a concrete pad or secured with a chain or cable to a tree or other secure post. TuffBoxx containers are made in a ready to assemble design and can be shipped unassembled in boxes or assembled on a pallet. All TuffBoxx products are manufactured in Princeton, ON and available factory direct or through distributors and dealers throughout North America.